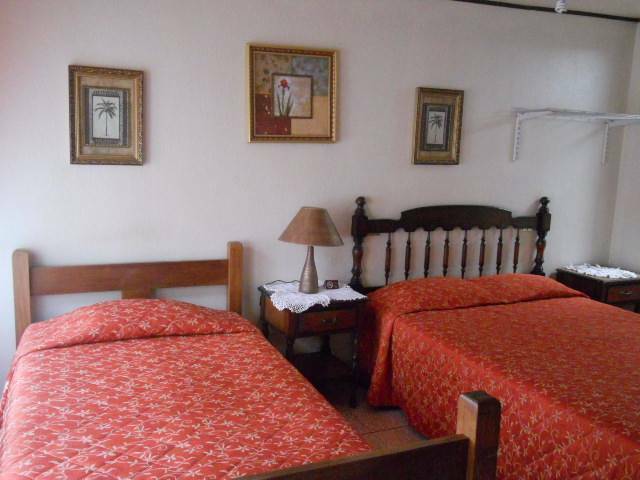 The Hotel is located at walking distance from the Alajuela’s Central Park, Cathedral, Museum, the commercial area (restaurants, coffee shops, stores, supermarkets, banks, pharmacies) and the International Mall. 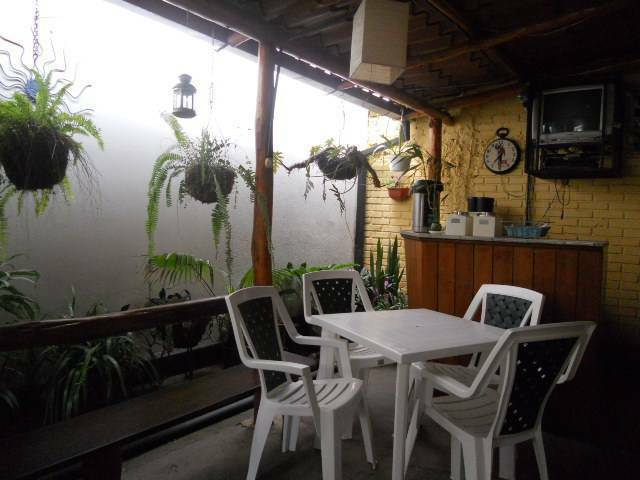 At less than 45 minutes by car visit: Poas Volcano, La Paz Waterfalls Garden, Zooave, Butterfly Farm, coffee plantations and Sarchi, the handicrafts town. 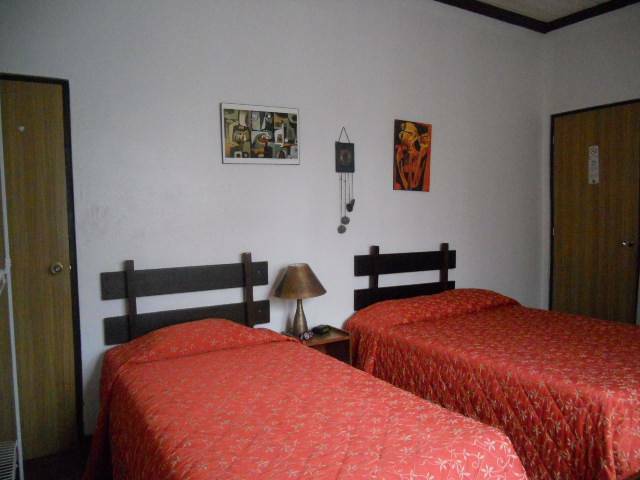 Within a 1 to 6 blocks radio you will reach the bus stops to San Jose (capital city, 17 M / 25 minutes away), La Fortuna and Arenal Volcano, and the Central & North Pacific, and North Atlantic beaches. After you arrive and you are ready to leave the airport, turn left and you will see a window where they sell tickets for the orange taxis ( taxis unidos), official airport service , tou must buy a ticket to the hotel santamaria and we pay it back at your arrival. 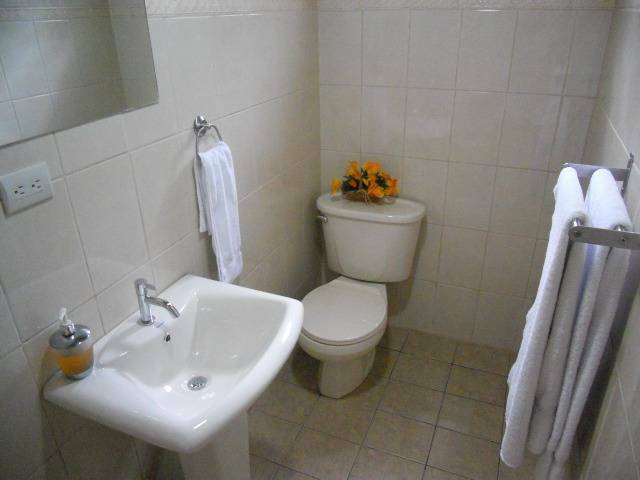 Free airport pickup, free breakfast, private bath, hot water, hair dryer, cable tv, free Internet access, wíreless conection, public phone, credit card accepted, private terrace with coffee maker, refrigerator and microwave. 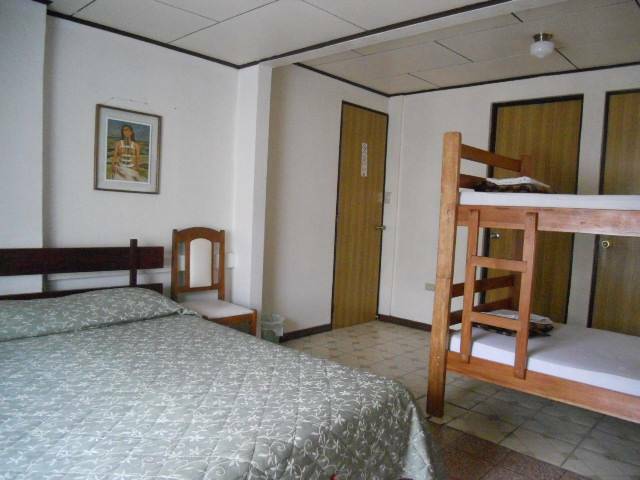 All rooms with private bath, hot water, hair dryer, tv cable and Free WIFI access. 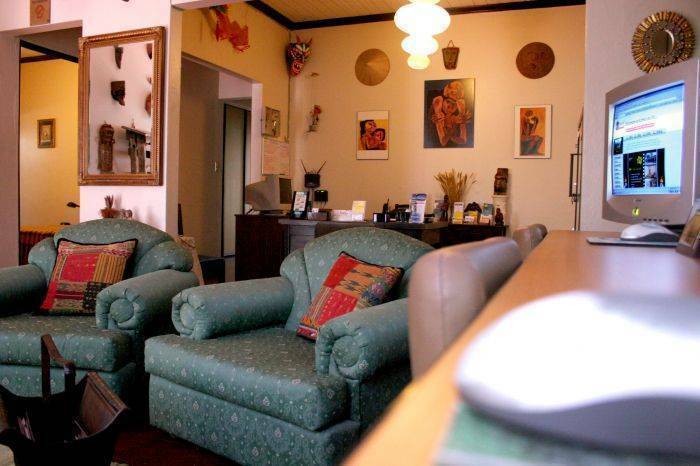 Aeroporto mais próximo: Santamaria Hotel is just 1 M (3 to 5 minutes) away from Costa Rica's International Airport, and by Juan Santamaria Park in downtown Alajuela, the second biggest city in the country.